TLJ News: November 6-10, 2012. 11/10. Apple announced in a release that HTC and Apple "have reached a global settlement that includes the dismissal of all current lawsuits and a ten-year license agreement. The license extends to current and future patents held by both parties. The terms of the settlement are confidential." 11/8. AT&T announced that "we will support FaceTime, not only on our Mobile Share plans, but also on all of our tiered data plans with an LTE device. We expect to roll out this functionality over the next 8-10 weeks." AT&T added that "We ... anticipate that we will be able to expand the availability of FaceTime to our customers on other billing plans in the near future". See, AT&T release. Currently, AT&T enables Apple's FaceTime app only on its Mobile Share plan and Wi-Fi. As a result, three Washington DC based interest groups that frequently complain about AT&T's business practices, complained about this. The three are Public Knowledge (PK), Free Press (FP) and New America Foundation (NAF). See, stories titled "PK and FP Allege AT&T Wireless BIAS Offerings Violate FCC Net Neutrality Rules" in TLJ Daily E-Mail Alert No. 2,430, August 16, 2012, "AT&T Rebuts PK/FP Net Neutrality Allegations" in TLJ Daily E-Mail Alert No. 2,436, August 24, 2012, and "Groups Give AT&T Notice of Intent to File Complaint with FCC" in TLJ Daily E-Mail Alert No. 2,450, September 18, 2012. AT&T added that "we are informing our deaf and hard of hearing customers that, as of October 26, we began rolling out several new billing plans designed to allow them to make use of FaceTime." The FP stated in a release that "The groups will move forward and file their complaint if AT&T fails to make FaceTime available to all of its customers in a timely manner." The PK's John Bergmayer stated in this release that "An FCC complaint offers a path to a positive resolution for consumers, but it’s a path with an uncertain timeline. So we are willing to wait and see if AT&T will follow through with its promise to end its illegal practices in short order. We still intend to pursue legal action against AT&T if it doesn’t make FaceTime available to all of its customers quickly." 11/7. The U.S. District Court (CDCal) issued document under seal in Fox v. DISH denying Fox's motion for a preliminary injunction against the Dish Network. Fox, ABC, CBS, and NBC filed their complaint on May 24, 2012, alleging direct copyright infringement by the Dish Network. The complaint alleges that the TV networks licensed Dish to retransmit primetime network programming, but that DISH "launched it own bootleg broadcast video-on-demand service called PrimeTime Anytime that is available to top-tier DISH subscribers who lease the Hopper set top box from DISH. Once enabled, PrimeTime Anywhere makes an unauthorized copy of the entire primetime broadcast schedule for all four" networks. And, DISH operates this service "so that the copies it makes are viewable commercial free". The District Court denied the motion for a preliminary injunction. Fox stated in a release that it will appeal. Dish stated in its release that "The ruling underscores the U.S. Supreme Court’s ‘Betamax’ decision, with the court confirming a consumer's right to enjoy television as they want, when they want, including the reasonable right to skip commercials, if they so choose." Dish's release offers its summary of the Court's document. The Public Knowledge (PK) filed an amicus curiae brief [28 pages in PDF] in support of Dish. The PK's John Bergmeyer stated in a release on November 7 that "Consumers have a right to record television programs and watch them later in the manner of their choosing. ... the law is clear: consumers have the right to make home recordings, and technology companies don't break the law when they create new and improved devices. We're confident that the rights of television viewers and innovators will be continue to be vindicated in this matter". See also, story titled "Public Knowledge Files Amicus Brief in Fox v. DISH" in TLJ Daily E-Mail Alert No. 2,455, October 1, 2012. This case is Fox Broadcasting Company, Inc., et al. v. DISH Network LLC, et al., U.S. District Court for the Central District of California, D.C. No. CV12-04529-DMG (SHx), Judge Dolly Gee presiding. 11/7. AT&T filed a petition for rulemaking [28 pages in PDF] with the Federal Communications Commission (FCC) regarding allowing incumbent local exchange carriers (ILEC) to replace time division multiplexed (TDM) with internet protocol (IP) facilities in select wire centers. AT&T's Bob Quinn stated in a release that "We are asking for a proceeding and a beta trial to address all of the policy, technology, technical and operational questions that must be addressed to complete the transition away from the legacy TDM infrastructure". He added that "Our plan will be to do our very best to provide our customers with services built on an IP broadband architecture. And for those few we cannot reach with a broadband service, whether wireline or wireless, they will still be able to keep voice service." In conjunction, AT&T announced plans to invest an additional $14 Billion over three years in its wireline and wireless networks. See, related story in this issue titled "AT&T Announces Additional Investment in Its Wireline and Wireless Broadband Networks". 11/7. AT&T announced in a release its "plans to invest $14 billion over the next three years to significantly expand and enhance its wireless and wireline IP broadband networks to support growing customer demand for high-speed Internet access and new mobile, app and cloud services." AT&T's release also states that "Wired IP broadband network expected to expand to 75 percent of customer locations in AT&T's 22-state wireline service area by year-end 2015", "Fiber deployment expected to reach 1 million additional business customer locations, covering 50 percent of multi-tenant office buildings in AT&T's wireline service area by year-end 2015" and "Investment expected to be approximately $14 billion over three years -- $8 billion for wireless initiatives, $6 billion for wireline initiatives; Total capital spending expected to be approximately $22 billion for each of next three years". AT&T made this announcement in conjunction with its filing of a petition for rulemaking [PDF] with the Federal Communications Commission (FCC). AT&T's wants the FCC to adopt a variety of new rules that it states will facilitate the transition from legacy to IP facilities in select wire centers. See, related story in this issue titled "AT&T Files Petition for Rulemaking Regarding Trial Replacement of TDM with IP". Rep. Henry Waxman (D-CA), the ranking Democrat on the House Commerce Committee (HCC), stated in a release that "I applaud AT&T's significant commitment to investment in America's broadband infrastructure. Investments like this enhance our economic competitiveness and facilitate the expansion of broadband and IP networks. Ensuring that our laws and regulations continue to encourage these investments -- while promoting competition and protecting consumers -- are important goals for all policymakers to consider." Harold Feld of the Public Knowledge (PK) stated in a release that "AT&T is to be applauded for investing in its network and breathing new life into DSL and rural wireless. This investment will not only create new jobs and bring broadband to the heartland, it has the potential to revive competition with cable broadband at a time when many had concluded we were doomed to a cable monopoly." But, he continued that AT&T would not have done this if the Department of Justice (DOJ) had not blocked AT&T's attempted acquisition of T-Mobile USA. 11/6. November 6, 2012, was a federal election day. President Obama was re-elected President. There is little change in the partisan make up of the House and Senate. Republicans will loose about ten seats, but retain their majority in the House. Democrats retained their majority in the Senate. While there is little change overall, technology related policy may be affected by the retirement, defeat or running for other office of certain key legislators. Sen. Herb Kohl (D-WI) (at left), a senior member of the Senate Judiciary Committee (SJC), did not run for re-election. He has long been either the Chairman or ranking Democrat on the SJC's antitrust subcommittee. Also, the state of Wisconsin has historically been well represented on the HJC and SJC. Former Sen. Russ Feingold (D-WI) had been a SJC member before his defeat in the 2010 general election. 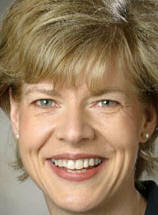 Rep. Tammy Baldwin (D-WI), who currently represents Madison, Wisconsin in the House, was elected to Sen. Kohl's seat. Madison is the location of the University of Wisconsin at Madison (UW), one of the largest universities in the US, and one of the most active in scientific research. There is also the Wisconsin Alumni Research Foundation (WARF), which represents the economic interests of UW inventors and the UW in intellectual property policy debates. Rep. Baldwin (at right), who went to law school at the UW, is currently a member of the House Commerce Committee (HCC). However, she was previously a member of the House Judiciary Committee (HJC). She is a possible candidate for appointment to the SJC. Rep. Jim Sensenbrenner (R-WI) won re-election in a district that includes the suburbs of the Milwaukee, Wisconsin. His district is close to Madison, and is home to some inventors associated with the UW and WARF. He as represented the interests of the WARF, and indirectly, the university patent community, in legislative debates. He is a senior member of the HJC. However, he is also a senior member of the House Science Committee (HSC). He has announced that he wants to be Chairman of the HSC in the 113rd Congress. If selected, this would diminish his involvement in intellectual property matters. The current Chairman, Rep. Ralph Hall (R-TX), won re-election by is term limited by House Republican rules. Rep. Lamar Smith (R-TX), the current Chairman of the HJC, won re-election, but is term limited from continuing as HJC Chairman. He too is seeking the Chairmanship of the HSC. Three other HJC Republicans and one HJC will not return for the 113th Congress. Rep. Elton Gallegy (R-CA) retired. Rep. Sandy Smith (R-FL) lost in the Republican primary. Rep. Mike Pence (R-IN) was elected Governor of the state of Indiana. Rep. Pence has long been a leading advocate in the House for legislation to protect journalists and ISPs, and promote the free flow of information. These bills, also known as "media shield", would have limited the ability of the federal entities to compel journalists to provide testimony or documents, or disclose sources, related to their work. Former Rep. Rick Boucher (D-VA), who lost in the 2010 general election, cosponsored bills with Rep. Pence. The Department of Justice (DOJ) and both the Bush and Obama administrations opposed these bills. See also, stories titled "House Judiciary Committee Approves Media Shield and Communications Services Provider Protection Bill" in TLJ Daily E-Mail Alert No. 1,919, March 30, 2009, and "House Approves Boucher-Pence Media Shield Bill" in TLJ Daily E-Mail Alert No. 1,656, October 17, 2007. One HJC Democrat will not return -- Rep. Howard Berman (D-CA). Rep. Smith and Rep. Berman have been leading advocates of the rights of intellectual property owners. Rep. Bob Goodlatte (R-VA) (at right), who easily won re-election, is perhaps the most likely member of the HJC to become its next Chairman. While not so closely associated with the movie and record industries as Rep. Berman, he too is an ardent advocate of intellectual property rights, and one of the leading authorities in the Congress on information and communications technologies (ICT), and the laws that affect ICT. Sen. Kay Hutchison (R-TX), the ranking Republican on the Senate Commerce Committee (SCC), did not run for re-election. Ted Cruz was elected to her seat. Sen. Olympia Snowe (R-ME) also retired. This leaves open the position of ranking Republican on the SCC, and Sen. Jim DeMint (R-SC) with the most seniority. Sen. Jon Kyl (R-AZ), a senior member of the SJC, did not run for re-election either. He has been a constant ally of law enforcement and intelligence agencies on issues involving electronic surveillance issue. Rep. Jeff Flake (R-AZ) (at left) was elected to fill Sen. Kyl's seat. 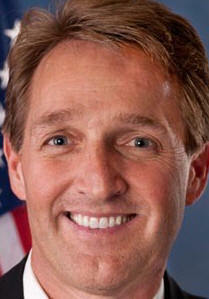 Rep. Flake is a member of the House Appropriations Committee (HAC). The focus of his legislative effort for years has been reducing wasteful government spending. However, it should be recalled that he once held a seat on the HJC. Other Senate Republicans who once championed the interests of individuals and businesses in privacy and liberty in the context of government surveillance, such as former Sen. John Sununu (R-NH) and former Sen. Larry Craig (R-ID), have left the Senate. The 113th Congress consider bills to update the ECPA to uphold legitimate expectations of privacy in cloud computing, data retention, mobile location data, and warrantless surveillance. However, it is difficult to spot Republican in the Senate who might take a leading role. Rep. Flake may be one candidate. Back in 2005, when he was on the HJC, the Committee conducted a lengthy series of hearing on the surveillance provisions of the 2001 USA PATRIOT Act. In early hearings, Rep. Flake was aggressively questioning Bush administration officials regarding their implementation of the statute. He was also working on a bipartisan basis with House Democrats. However, House and Senate Democratic leaders, including Sen. Charles Schumer (D-NY) and Rep. Jerrold Nadler (D-NY), then determined to use wiretaps and other surveillance practices as a campaign issue for the 2006 elections, and began partisan attacks on the Bush administration. Rep. Flake backed off. After the 2008 election President Obama made clear that his surveillance related policies would be no different from former President Bush's. Many House and Senate Democrats then backed off the issue too. However, Ted Cruz may be a more likely candidate for appointment to the SJC. Not only is he an attorney, he clerked for former Judge Mike Luttig of the U.S. Court of Appeals (4thCir), and former Chief Justice William Rehnquist. He also served as Solicitor General of the state of Texas, and more recently as a partner in the Houston and Washington DC offices of the law firm of Morgan Lewis. He recently argued and won a patent case before the Supreme Court: Global Tech Appliances v. SEB. Cruz was also once in charge of e-commerce deregulation efforts at the Federal Trade Commission (FTC). See, story titled "E-Commerce Deregulator Wins Texas Senate Republican Primary" in TLJ Daily E-Mail Alert No. 2,419, August 3, 2012. In addition to Sen. Hutchison and Sen. Snowe (R-ME), Sen. Daniel Inouye (D-HI) another senior member of the SCC, did not run for re-election. 11/6. President Obama and the Senate Democratic leadership have backed legislation that would create a new federal regulatory regime affecting critical infrastructure providers. See, S 3414 [LOC | WW]. However, it has not been passed by any Committee or by the full Senate. And, the House has taken no action on it either. The House has already passed a bill that would not create a new regulatory regime, but rather that would make numerous changes to law to incent information sharing to further cyber security. See, HR 3523 [LOC | WW], the "Cyber Intelligence Sharing and Protection Act" or "CISPA". However, the Senate Democratic leadership has ignored it. Some proponents of the CISPA may have hoped that a defeat of President Obama, and a Republican majority in the Senate, would substantially enhanced the prospects for quick enactment of the CISPA into law. Any such hopes were dashed by election results. On the other hand, the House Republicans' retention of a solid majority in the House, and the fact that the CISPA won 42 Democratic votes, suggests that a change of course in the House is also highly unlikely. The possible outcomes now include compromise legislation, and inaction by deadlock. Sen. Harry Reid (D-NV) forced S 3414 to the Senate floor (without hearings, markups, time to review the bill, or opportunity to amend it) just before the August recess. A vote to end a filibuster failed. It was a partisan vote, but four Democrats joined Republicans in stopping the bill. Many House and Senate Democrats went into the November 2010 elections with a record of having just voted the Democratic Party line in the 111th Congress on bills that proved to be unpopular with many of their constituents. In contrast, few Democrats suffered defeats in November 2012 in part because there were fewer such votes in the 112th Congress, and because they had distanced themselves from President Obama and their party leadership. For example, Sen. Jon Tester (D-MT) won re-election in Montana. However, President Obama won only 42% of the vote in that state. Sen. Tester defied President Obama and the Senate Democratic leadership by voting to block S 3414. The other four Democrats who voted to block S 3414 -- Sen. Max Baucus (D-MT), Sen. Mark Pryor (D-AR), Sen. Jeff Merkley (D-OR), and Sen. Ron Wyden (D-OR) -- were not up for re-election. Five Republicans voted to end the filibuster of S 3414 -- Sen. Scott Brown (R-MA), Sen. Susan Collins (R-ME), Sen. Olympia Snowe (R-ME), Sen. Dan Coats (R-IN), and Sen. Richard Lugar (R-IN). Three will not be back in the 113th Congress. Sen. Brown lost. Sen. Snowe retired. Sen. Lugar lost in his primary election. In addition, Sen. Joe Lieberman (D-CT), the sponsor of S 3414, and Chairman of the Senate Homeland Security and Governmental Affairs Committee, retired. So perhaps, the prospects for passage of S 3414 by the Senate will diminish in the next Congress. This may provide the Senate Democratic leadership some further incentive to try for passage during the lame duck session of the current Congress. 11/6. The 2012 election results will likely have little impact upon the regulation of broadband internet access service (BIAS) providers. The Federal Communications Commission (FCC) promulgated rules in December of 2010. See, Report and Order (R&O) [194 pages in PDF] and stories in TLJ Daily E-Mail Alert No. 2,186, December 22, 2010, and TLJ Daily E-Mail Alert No. 2,188, December 24, 2010. Judicial review of those rules is now pending in the U.S. Court of Appeals (DCCir). There is a correlation between party affiliation and support for BIAS regulation. Many Democrats support BIAS regulation. Many Republicans oppose it. However, enactment of legislation is highly unlikely. Proponents of regulation did not have enough votes to pass legislation in either the House Commerce Committee (HCC) or the full House, even during the 110th and 111th Congresses when Democrats held a majority of the seats. Going into the 113th Congress, proponents lack the votes to get a bill through either the House or Senate. On the other hand, opponents of BIAS regulation lack the votes, now and in the next Congress, to pass a Senate bill that would undo FCC's BIAS rules. See for example, story titled "Analysis of Support for a Network Neutrality Mandate in the House and Senate" in TLJ Daily E-Mail Alert No. 1,532, February 5, 2007. There has been, and will continue to be, a legislative stalemate on BIAS regulation. Indeed, it is largely because of this stalemate FCC Chairman Julius Genachowski and the two other Democratic Commissioners promulgated BIAS rules in 2010. The FCC acted, as it often does during both Democratic and Republican administrations, as an agent of the Congress and President, to impose rules that are legislative in nature, because of the inability of the actual legislature to act. In this case, the three FCC Democrats acted on behalf of Congressional Democratic leaders and President Obama. Some critics of the FCC's regulatory regime might have hoped that a defeat of President Obama, a Republican majority in the Senate, and Sen. Jim DeMint (R-SC) assuming the Chairmanship of the Senate Commerce Committee (SCC) would have enabled FCC action, or enactment of legislation, undoing the FCC's BIAS regulatory regime, and substituting a new regulatory paradigm, more in the nature of antitrust law, that is based upon findings of market failure and cost benefit analyses. Those dreams were dashed on Tuesday. Now, the fate of the FCC's BIAS rules lies with the DC Circuit, not the Congress. There is a substantial likelihood that the Court will overturn these rules, as it vacated the FCC's Comcast order, and its broadcast flag order, for the lack of statutory authority. See, April 6, 2010, opinion [36 pages in PDF] in Comcast v. FCC, and story titled "Court of Appeals Vacates FCC's Comcast Order", and related stories, in TLJ Daily E-Mail Alert No. 2,072, April 7, 2010. The FCC would then have several options. It could abandon its effort. Alternatively, it could impose a Title II regulatory regime for BIAS providers. Or, the FCC could defy the Court and write new but similar rules, and then once again drag out the judicial review process. One might recall, for example, that following enactment of the Telecommunications Act of 1996, the FCC four times wrote rules to implement the unbundled network elements requirement of Section 251. The first three times, the courts struck down key components of the FCC's rules. The FCC defied judicial interpretation of the statute in its second and third orders. It also engaged in dilatory tactics. It took a decade for the regulatory dust to settle. Dennis Ross (R-FL) won unop. Sandy Adams (R-FL) lost prim. Ben Quayle (R-AZ) lost prim. Note: Debbie Schultz (D-FL) won. She is on leave from the HJC. Cliff Stearns (R-FL) lost prim. John Sullivan (R-OK) lost prim. Brian Bilbray (R-CA) lost ? 11/6. Sergey Brin, co-founder of Google, wrote a short piece on elections, politicians, and parties in Google+. He wrote that "no matter what the outcome, our government will still be a giant bonfire of partisanship. It is ironic since whenever I have met with our elected officials they are invariably thoughtful, well-meaning people. And yet collectively 90% of their effort seems to be focused on how to stick it to the other party." He added this. "So my plea to the victors -- whoever they might be: please withdraw from your respective parties and govern as independents in name and in spirit. It is probably the biggest contribution you can make to the country." Google's public statements are also relevant. Google's famous Code of Conduct begins with the slogan, "Don't be evil". Google states that "it's also about doing the right thing more generally -- following the law, acting honorably and treating each other with respect." However, Google is, among other things, a repeat violator of federal consumer protection law. See, stories titled "FTC Issues and Settles Complaint Against Google" in TLJ Daily E-Mail Alert No. 2,213, March 31, 2011, "Google to Pay $500 Million for Allowing Its AdWords Program to be Used to Promote Illegal Online Drug Sales" in TLJ Daily E-Mail Alert No. 2,292, August 24, 2011, and "FTC Sues and Settles With Google for Circumventing Apple Safari Browser's Blocking of Third Party Cookies" in TLJ Daily E-Mail Alert No. 2,425, August 9, 2012. Google has also demonstrated in recent years that it is as skilled in political brawling with its corporate opponents as any other huge business. Google has also played the Washington party system when it has been to its commercial advantage to do so. Federal Election Commission (FEC) records show that Google, Brin and other Google persons made vast financial contributions to the Obama campaigns, and the Democratic National Committee. Google has realized benefits from this, through such things as promulgation of rules favorable to Google by the Federal Communications Commission (FCC) on straight party line votes. However, on some issues, such as debates over copyright and patent law, there is no clear partisan divide. On these issues Google and Google persons have lavishly supported politicians of both parties. For example, FEC records also show that Google has given generously to Republicans who fought against the Stop Online Piracy Act (SOPA), such as Rep. Jason Chaffetz (R-UT), Rep. Darrell Issa (R-CA) and Rep. James Sensenbrenner (R-WI). Brin's recommendation that politicians "withdraw from your respective parties" will not happen. However, hypothetically, if it did, it would have harmful consequences for the political system. For example, unlike Google, which maintains an army of in house and outside lobbyists and consultants, and interest group activists, individual voters lack the time or resources to become familiar with all candidates. Party affiliation provides voters a very easily available and reliable piece of information about candidates. Party affiliation is on ballots, so it costs voters nothing to obtain it. Also, while candidates, committees, corporations (including Google), and news media can deluge voters with inaccurate information about issues and candidates, it is nearly impossible to falsely represent a candidate's party affiliation. And then, party affiliation is a very good predictor of certain future political actions, such as whether a candidate will vote for Rep. John Boehner (R-OH) or Rep. Nancy Pelosi (D-CA) for Speaker of the House. An absence of party labels would decrease the accountability of elected officials to voters. Conversely, it would increase the influence of well organized political actors, like Google. Also, the American political process is Constitutionally designed to make it hard to enact a bill into law. Political parties in the legislature provide coordination and discipline that facilitate the passage of bills. Without parties it would be even harder to pass bills. Less policy making by legislation means more policy making by unelected and unaccountable bureaucracies and courts. Most of the significant developments in copyright law in the last dozen years have been decided by courts, not the Congress. The Supreme Court is about to decide the meaning of the first sale doctrine in Kirtsaeng v. Wiley. The Congress has not passed a meaningful privacy bill since the COPPA. The courts have been writing patent law. Agencies and courts are defining the contours of internet access regulation and antitrust. Google has achieved much success by blocking bills in the Congress (online privacy, SOPA, PROTECT IP Act), and obtaining favorable outcomes in administrative and judicial processes. Google stands to benefit by making it harder for the Congress to act. Brin's recommendation that elected officials should "govern as independents" might further Google's political strategies. Brin also asserts that elected officials just "stick it to the other party". But then, Google is a company that in both the marketplace, and policy making arenas, seeks to stick it to the other company. A lot of other companies want to stick it to Google, by making competing products, and recently, by inducing government antitrust action. There is an analogy to be made here. Elected officials and parties are competitive, and sometimes ruthless, in seeking votes, just as Google and other technology companies are competitive, and sometimes ruthless, in seeking market share and profits. Elective politics may not be pretty, but it is based upon open competition that is enhanced by party affiliations and party organizations. The goal of candidates and parties is to get elected by giving voters what they want. This advances voter welfare. Business practices and political activities in the tech sector may not be pretty, but they are based upon open competition. The goal of businesses is to make money by providing consumers what they want. This advances consumer welfare. The Congress is continuously responsive to voters, and American tech companies continuously innovate and improve their products because of, not in spite of, this ruthless competition. 11/6. The U.S. Court of Appeals (5thCir) released its opinion [15 pages in PDF] in Hill v. FCC, denying a petition for review in a case regarding the Federal Communications Commission's (FCC) waste, fraud and abuse plagued e-rate tax and subsidy program. This case pertains to e-rate subsidies for equipment and services provided to the Houston Independent School District (HISD). The petitioner is Joseph Hill, trustee in bankruptcy for Lakehills Consulting. Prior to filing a Chapter 7 bankruptcy petition in 2009, Lakehills performed work on contracts with the HISD. However, the FCC's Universal Service Administrative Company (USAC) withheld payments for the years 2002, 2003 and 2004, for reasons related to fraud and violation of FCC rules by Lakehills' predecessor. That is, Lakehills did not get paid because the corrupt company that it replaced had violated the FCC's rules. 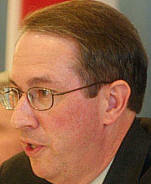 Hill filed an administrative appeal with the FCC. The FCC issued an order denying that appeal, because the FCC has a full recovery rule that provides that e-rate subsidies that have been disbursed in violation of the FCC's competitive bidding rules should be recovered in full. The present petition for review followed. Hill argued that this full recovery rule is both a violation of law and arbitrary and capricious. The Court acknowledged that it was a predecessor company that violated the FCC's rules, and that "Lakehills has suffered hardship from the FCC's strict adherence to its full recovery rule for violations of its competitive bidding rules", but nevertheless denied the petition. The FCC's e-rate program bears a vague resemblance to a program codified at 47 U.S.C. § 254. Subsection 254(h) provides for telecommunications carriers to subsidize telecommunications services at elementary and secondary schools, libraries, and health clinics. As implemented by the FCC, subsidies are provided for telephone service, internet access, and internal connections. This case is Joseph Hill v. FCC and USA, U.S. Court of Appeals for the 5th Circuit, App. Ct. No. 12-60070, a petition for review from a final order of the FCC. This is a per curiam opinion of a three judge panel comprised of Judges Stewart, Garza and Elrod. This opinion states that "this opinion should not be published and is not precedent". Go to News from November 1-5, 2012.